From an educational perspective, this is one of the most exciting nights of the year! 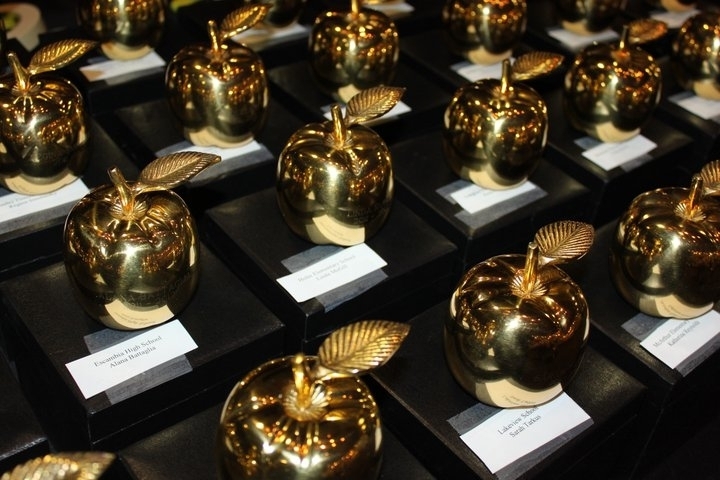 At this event, each K-12 public school’s Teacher of the Year is recognized, five teachers are named as finalists, and vignettes showcasing each finalist’s teaching methods are shown. Finally, one Teacher of the Year is named Escambia County’s Teacher of the Year. A special thank you to Sue Straughn, WEAR ABC 3 News for hosting the 32nd annual Golden Apple Awards and to WSRE TV for their video production services in support of this event.